NHL News : Flyers plan important move before they end up getting new GM! 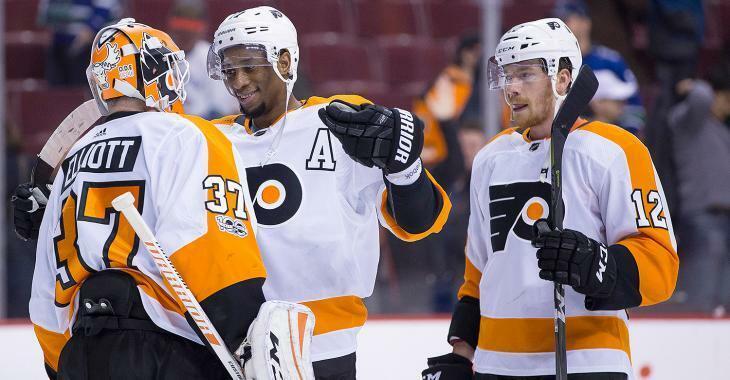 Flyers plan important move before they end up getting new GM! Holmgren is known to be an aggressive president and now he is taking over! The Philadelphia Flyers felt like it was time for a change when club president Paul Holmgren and Comcast Spectacor chief executive officer Dave Scott explained when met with the media to discuss Monday’s decision to fire general manager Ron Hextall. However, it seems like change will also be coming to the roster, according to NHL insider Bob McKenzie. As part of a discussion of the latest Flyers’ management changes and philosophical shift into a ‘win now’ mode, McKenzie was asked on the air of Ottawa's TSN 1200 if he saw team president Holmgren being aggressive at all in terms of finding a goaltender that can play right now for the team. It seems like the addition of a new goalie could be made before the Flyers end up getting a new general manager. “If you look at Paul Holmgren’s history as a general manager in the National Hockey League, he’s very aggressive,” noted McKenzie. “This is a guy who is not afraid to swing for the fences, and he’s done it in the past. In the meantime, there have been reports that Holmgren has started his hunt for a replacement. While a number of potential candidates have been speculated, it seems that former Los Angeles GM Dean Lombardi, who is currently a Sr. Advisor with the Flyers, and former Flyer Chris Pronger are not in contention. Former Minnesota Wild GM Chuck Fletcher, New York Islanders GM Garth Snow and Carolina Hurricanes GM Ron Francis may all be on Philadelphia’s list of candidates. While he waits to see who will join the Flyers in the GM spot, Holmgren might get on the trade market and land a netminder to help his team right away. Last week, NHL Insider Elliotte Friedman revealed the amount of interest towards Montreal Canadiens netminder Charlie Lindgren, who is turn 25 next month, but also mentioned that Habs general manager Marc Bergevin is expected a lot in return for the netminder who is knowing a lot of success in the American Hockey League at the moment. Holmgren can be quite aggressive so we will see if he can pull off a trade shortly. As for the future of head coach Dave Hakstol, Holmgren is expected to leave it to his new GM once he is named.